State Representative Thomas O’Dea was reelected to his fourth term in office, November 6, 2018. O’Dea proudly serves the 125th General Assembly District communities of New Canaan and Wilton. 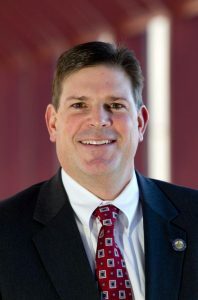 Rep. O’Dea was reappointed as Deputy Republican Leader-at-Large at the beginning of the 2019 session. Tom is an experienced trial lawyer, with over 40 jury verdicts as lead counsel, for the law firm Diserio, Martin, O’Connor & Castiglioni, LLP. Mr. O’Dea’s practice includes representing employers in all aspects from training to litigation. Mr. O’Dea’s practice includes representing buyers, sellers, developers and financial institutions in complex real-estate transactions. He also represents clients in probate litigation in courts throughout Connecticut. A frequent author and speaker, Mr. O’Dea has earned the highest rating of AV from the peer-reviewed legal directory, Martindale-Hubbell. From 1995 to 2004, Mr. O’Dea served by appointment of the governor as a member of the Police Officers Standards and Training Council (POST), which is responsible for overseeing all training certification of police officers in Connecticut. From 1997 to 2004, he served by appointment of the governor as a Victim Compensation Commissioner within the state’s judicial branch, responsible for adjudicating claims brought by victims of crimes. In 2004, Gov. M. Jodi Rell appointed Mr. O’Dea to the Judicial Selection Commission, which is responsible for recommending the appointment and reappointment of judges. Mr. O’Dea is also a member of the New Canaan Town Council. Tom and his wife Kerry have three children – Tommy, Caroline, & Michael, and in his free time he coaches New Canaan Youth Football, Baseball and Basketball.